The Israeli occupation police on Sunday rounded up a number of peaceful Palestinian sit-inners and worshipers inside and around al-Aqsa Mosque at a time when Israeli settler gangs desecrated such an Islamic holy compound. A PIC correspondent quoted local sources as reporting that the Israeli occupation officers nabbed Palestinian female sit-inner Hanadi al-Halwani and youngster Tamer Shala’ta at the Asbat gate, moments before they dragged them to a nearby police station. Earlier, on Saturday evening, the Israeli occupation forces came down heavily on a group of young non-violent Muslim worshipers, many among whom had been subjected to meticulous investigation on charges of frequent visits to holy al-Aqsa Mosque. “The Israeli border cops summoned me for interrogation because they found a screwdriver, one of my work kits, in my car,” Mohamed told the PIC. “The Israeli occupation pushed us, Palestinians, up against the wall. . . . such terror acts . . . will lever dampen our spirits. Our daily visits and sit-ins staged in holy al-Aqsa will never come to an end,” he vowed. At least 55 Israeli extremist settlers, escorted by troops of Israeli occupation special units and intelligence officers, reportedly stormed Muslims’ holy al-Aqsa Mosque via the Maghareba gate on Sunday and defiled its courtyards. One of al-Aqsa’s supervision personnel said the assailers performed a series of provocative rites and recitals, paying no heed to the sentiments of scores of Muslim worshipers who were praying in the Mosque. More than 7000 Palestinian prisoners are exposed to harsh incarceration conditions in the Israeli prisons and are in dire need of local and international solidarity campaigns. 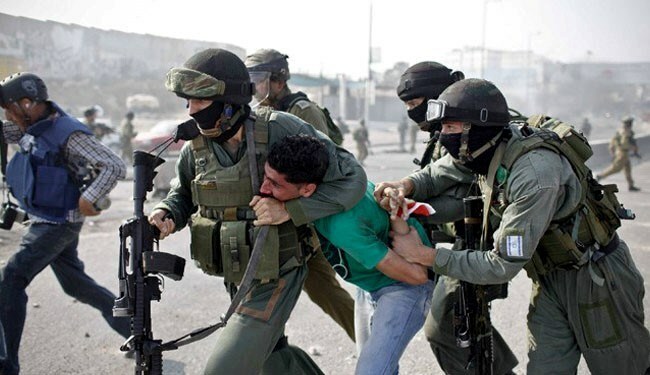 The report, which was issued on the day which the United Nations General Assembly approved as the international day of solidarity with Palestine on 29 November, exposed the occupation’s daily random arrest policy aiming to terminate the Palestinian resistance. It said that the arrest campaigns are to a large extent coupled with violent assaults and searches. Arrests were not limited to a certain sector; all society segments were subjected to arrest including children, elderly people, MPs, academics, released detainees and even women, last of whom was the minor Hala Musallam Abul Sull, 17, from al-Khalil. 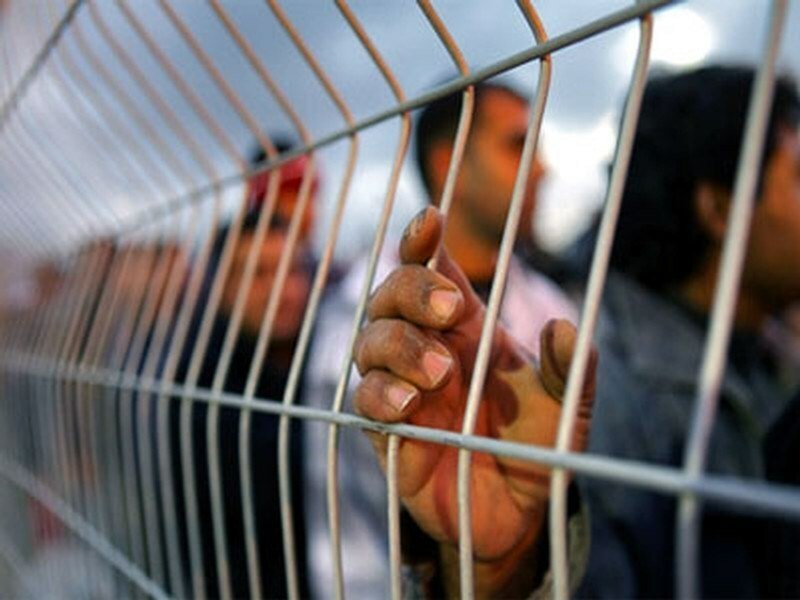 The report charged that the Palestinian prisoners are exposed to uncountable violations as the occupation is denying them their rights stipulated in international conventions related to the detainees, most importantly the Fourth Geneva Convention. The report quoted prisoners as complaining of late night raids into their rooms for surprise search. They added that the soldiers confiscate their personal belongings, turn the rooms upside down, in addition to beating, insulting and provoking them, not to mention the humiliating strip search. Two weeks ago, the occupation imposed the night count: they take them out of their rooms after midnight in the severe cold winter to count them in a very rude manner. It continued: "The prisoners are deprived of family visits, the food is not enough and its quality is very poor. Furthermore, prices in the canteen are very high, insects are crawling all over their rooms, and some prisoners are locked up in solitary confinement”. The report warned that the prisoners are facing slow death amid the deliberate medical neglect inside the prisons. 17% of the detainees suffer various diseases and scores suffer serious diseases such as cancer, heart ailment and hypertension, the report pointed out, adding that the prisons' administrations deliberately neglect their health deterioration and prevent them from the necessary medical checks and tests until the diseases develop into chronic ailments. The report confirmed that even women and children were not spared the Israeli arrest and torture. The Israeli occupation authorities detain more than 300 children whose ages do not exceed 18 years and 18 women. The minors and women prisoners are subjected to all kinds of torture and persecution in absolute disregard to the charters that state the contrary. 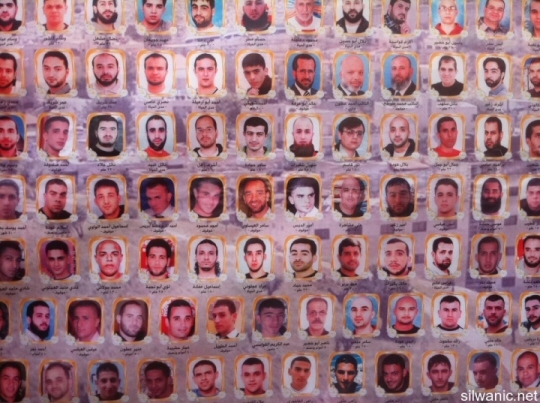 Moreover, 22 members of the Palestinian Legislative Council are illegally held in the Israeli prisons, and 62 ex-detainees, who were released in Wafa Al-Ahrar deal, were rearrested after falsely promising the Egyptian mediator that they would not be harmed. Israeli soldiers invaded, on Sunday at dawn, the southern West Bank districts of Hebron and Bethlehem district, and kidnapped eight Palestinians. Clashes also took place after several Israeli military vehicles invaded Beit Ummar town, near Hebron. In Surif town, near Hebron, soldiers invaded several homes and ransacked them before kidnapping two Palestinians identified as Abed Hosni Abu ar-Reesh, 22, and ‘Aahed Abu Fara, 25. A third Palestinian was kidnapped in the town while heading back home from Jericho; he has been identified as Ayman Mohammad Barad’eyya, 22. Local sources said soldiers also invaded his family home, and confiscated a computer. Soldiers also invaded Beit Ummar town, north of Hebron, and kidnapped Montaser Fathi Ekhlayyel, 23, who works as a guard of the local town council. Mohammad Awad, spokesperson of the Popular Committee against the Wall and Settlements in Beit Ummar, said several soldiers stormed the home of Ekhlayyel, violently searched it causing property damage tore pictures of late President Yasser Arafat, before forcing Ekhlayyel’s father to take them were his son works, and kidnapped the son. Ekhlayyel is a former political prisoner who spent three years in Israeli prisons, interrogation and detention centers. The invasion led to clashes between the soldiers and local youths, while the army fired gas bombs, rubber-coated metal bullets and rounds of live ammunition. Many residents suffered the effects of tear gas inhalation, and received treatment by local medics. A number of armored military jeeps also invaded Beit ‘Awwa town, southeast of Hebron, while many soldiers patrolled in its streets before withdrawing later on. In addition, soldiers invaded the al-Fawwar refugee camp, south of Hebron, and Beit Kahel town, north of the city, and kidnapped two Palestinians. Dozens of soldiers also invaded the Teqoua’ town, east of the West Bank city of Bethlehem, searched and ransacked several homes, and kidnapped two Palestinians. The soldiers also kidnapped a former political prisoner in the city. The Israeli prosecution indicted three Jerusalemite youths for allegedly plotting to assassinate a fanatic Jewish rabbi and an extremist MK, the Israeli TV channel 7 reported. The broadcast said on Saturday that the three young men, one of them a teenager, were charged with conspiring to assassinate rabbi Yehuda Glick and the extremist Member of the Knesset Moshe Feiglin. Both are fervent advocates of imposing Israeli full sovereignty over the Aqsa Mosque and allowing Jews to pray inside it … they always spearhead intrusions into the holy site. The channel said that the three young men, all from eastern Jerusalem, were planning to throw Molotov Cocktails and firecrackers at both men during their raids on and desecration of the Aqsa Mosque. The Israeli Minister of Internal Security has decided to transfer 20-year-old Islam Izzat Natsheh, from Anata, to conditions of administrative detention (imprisonment without charge or trial) for 6 months, in response to the young man's recent Facebook posts. Sadeq Ghaith, from Silwan, was also placed under similar orders. According to Wadi Hilweh Information Center, in Silwan, Amjad Abu Asab, head of an East Jerusalem committee for families of detainees, explained that the Internal Security Minister transferred Natsheh to administrative detention just four days after he was arrested from his house, in the village of Anata. Natsheh was interrogated in Al-Maskobyeh for his posts on Facebook and with special regard to a prayer expressing his wish to obtain martyrdom, several days ago. According to Ma'an, Mr. Abu Asab said that Israeli interrogators accused him of planning a terror attack as a result of his post. Al-Natsheh, however, reportedly denied the charge, saying that the post represented "just a wish." After being unable to prosecute him, the Internal Security Minister decided to transfer him to administrative detention. The minister issued a similar decision against one Sadeq Gheith, arrested with his brother Adnan, last Tuesday, following a raid on his house in Silwan. His brother is the Secretary-General of the Fateh Movement in Jerusalem, and remains imprisoned. Ma'an further explains that "administrative detention" refers to the tactic of keeping a prisoner without charge or trial for extended periods of time, often for reasons of "security" concerns. The tactic, dating back to the days of British Mandate Palestine, is routinely used on Palestinian prisoners by Israeli authorities, even though international law stipulates that it only be used in exceptional circumstances. According to Israeli human rights groups B'tselem, in August of 2014, 473 Palestinians were being kept in administrative detention in Israeli prisons, down from a high of nearly 1,000 in 2002. Furthermore, over 1,000 Palestinians from East Jerusalem have been arrested by Israeli forces since June, in one of the biggest campaigns of intimidation and incarceration the city has seen in modern history. Israeli forces violently detained and arrested twenty-year-old Palestinian activist Imad Altrash at approximately two o’clock, yesterday, in al-Khalil (Hebron). Soldiers accused him of insulting and yelling at them at Shuhada checkpoint. No soldiers claimed that Imad threatened them or behaved violently. Shuhada checkpoint has been closed for the past seven days as part of a policy of collective punishment directed at the Palestinians in surrounding neighbourhoods after the checkpoint was burnt during clashes last Friday. The checkpoint connects Bab a-Zawiya, a neighbourhood in H1 (supposedly under full Palestinian authority) to Tel Rumeida, an H2 residential area under full Israeli military and civil control. Israeli soldiers have been for the past several days denying passage through the checkpoint to Palestinians including children, elderly people and teachers from nearby schools who should have special permission to pass. 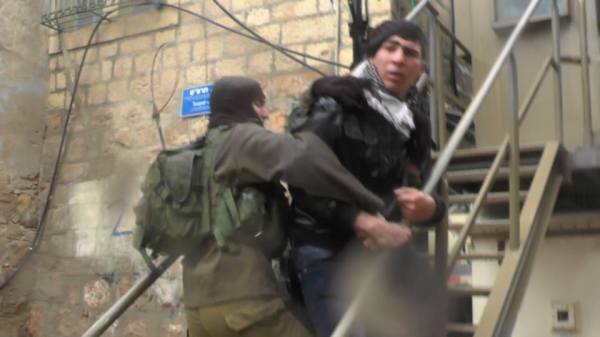 Video footage from Human Rights Defenders Palestine shows soldiers violently dragging Imad up the stairs of the checkpoint and holding him in a headlock as they push him around. After about two hours of detention at the checkpoint, Israeli police took Imad to a nearby police station where he was held for approximately an hour before being released to the Palestinian DCO [District Coordination Office]. A 17-year-old girl was nabbed at dawn Friday for allegedly trying to stab an Israeli soldier in al-Khalil, according to Israeli news reports. Israeli Walla website said that the girl refused to undergo a search at a military checkpoint near the Ibrahimi Mosque. A knife was found in her possession when she was searched under threat, the sources claimed. According to the Israeli allegations, the girl confessed to intending to stab an Israeli soldier. Meanwhile, the Israeli occupation forces (IOF) arrested overnight five Palestinians, including three women, at a makeshift checkpoint at the entrance to the Old City of al-Khalil. Local sources confirmed that Israeli forces intercepted several cars at the checkpoint and detained two men and three women after searching the vehicle they were aboard. The detainees were taken to an unknown place. 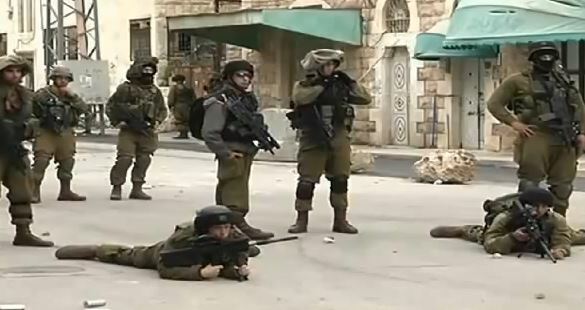 The IOF has been put on high alert for days in the area. In another incident, a Palestinian citizen was arrested Thursday night near the Jewish neighborhood in al-Khalil city for allegedly possessing a machine gun. 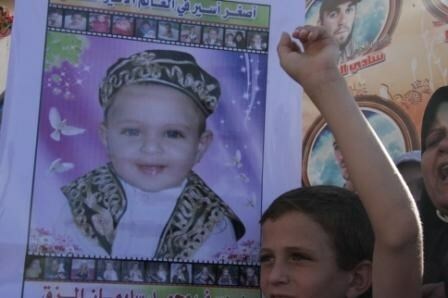 The detainee was taken for interrogation, according to the Israeli army radio. The radio also claimed that a settler’s car was exposed to a gunfire attack near Ramallah. The Israeli police arrived at the scene shortly after the incident and opened an investigation into the shooting. Tensions have been running high in West Bank and occupied Jerusalem as Jewish settlers, under military protection, intensified attacks against Palestinians and their property. 11-month-old Balqis Ghawadra became the youngest prisoner in the world, after visiting her father in Eshel Israeli prison, occupied Beer Sheva. 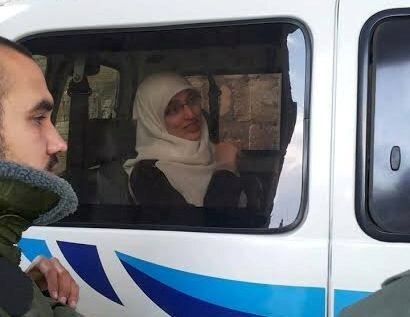 Nihal Ghannam Ghawadra from Bir Al-Basha village, near Jenin, waited passionately for the permission to visit her husband, Mu'ammar, only to be separated from her two little children, and to see her entire family become prisoners, Ahrar Center for Prisoners Studies and Human Rights reports. According to the PNN, Nihal headed to the prison on Wednesday, with her daughter Balqis, 11 months, and son Baraa', age 2. As soon as she arrived, the three were separated. Nihal was imprisoned, along with her two children, under the pretext of sneaking a mobile phone to her husband. The entire family has now been imprisoned, as a result. Muammar's mother told Ahrar that her daughter in law called to inform her that Israeli authorities had imprisoned her and her children, and began calling on people to help release them from the prison. Director of the center Fu'ad al-Khuffash declared the move by prison officials a flagrant violation of human rights and a crime against humanity, calling on local and international human rights organizations, as well as Palestinian authorities, for a speedy intervention. Mu'ammar Ghawadra was released in 2011, under the Gilad Shalit prisoner exchange between Israel and Palestinian resistance, after serving 8 years of a life sentence (+ 20 years) in Israeli prisons. Muammar was imprisoned again, a few months ago, without charge. Furthermore, according to Director al-Khuffash, 63 of the Palestinian prisoners released in the Shalit agreement were also re-imprisoned without charge, for the purpose of using them as hostages, in order to damage resistance in any future prisoner exchange agreement.